The concept for the K3 2-6-0 began in August 1917 when Gresley started to consider a new express goods engine for the Great Northern Railway (GNR) based on his K2 2-6-0 (GNR Class H3), but with a higher boiler pressure of 180psi and 20in or 20.5in diameter cylinders with a 28in stroke. The greater piston loads resulted in a lot of attention being given to the coupling rod pin bearing surfaces which would have had to have been increased. This is thought to have been the main reason for the scheme being eventually dropped. 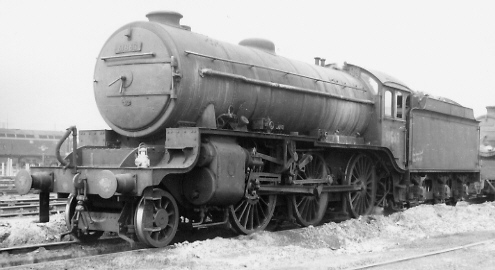 By this time, Gresley's three cylinder O2 2-8-0 mineral locomotive was being built. This was the first locomotive to incorporate his patent 'conjugated' valve gear on the middle cylinder, and was quickly deemed a success. 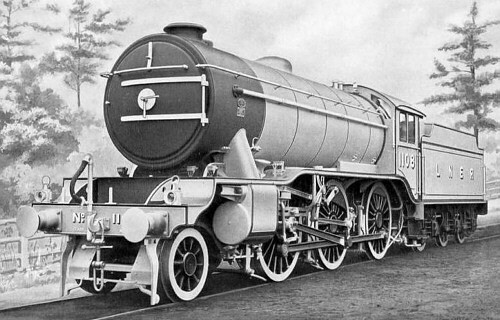 Gresley announced that his future designs would concentrate on three cylinder designs, and turned his attention to the 2-6-0 express concept from 1917. With three cylinders, he reduced the cylinder diameter to 18.5in but kept the boiler pressure at 180psi, with the net effect of an increase in tractive effort of 36 per cent over the K2s. The boiler was enlarged to a then-unprecedented 6ft diameter, in order provide an adequate supply of steam. The outside cylinders were almost horizontal, but the inside cylinder was steeply inclined to clear the leading coupled axle. Although very similar to the K1s and K2s, the K3s looked different due to their large diameter boilers and stout boiler mountings. The cab continued the austere style started by Ivatt. No side windows were provided, but a 1ft 6in deep side cut-out was provided as a driver look out. The roof also extended back 9in over the cab entrance. Later batches of K3s would introduce side windows and padded seats to the design. The first ten locomotives (Nos. 1000-9) were constructed between 1920 and 1921. Their advent coincided with the coal strike of 1921. Although intended for fast goods work, the strike meant they they were often used on express passenger services as an economy measure. The K3s managed this very well, and quickly made a name for themselves hauling trains up to twenty bogies in size. Jazz music was just becoming popular in Britain at that time, and they quickly earned the name of "Jazzers" due to their syncopated exhaust beat and uneven gyratory movement at the rear. The exhaust beat was a side-effect of the three cylinder design, and would become a common sound with the advent of further Gresley types. The poor riding, however, would pose problems for maintenance. Early testing showed an over-travel problem on the middle valve during high speed coasting. This was partly due to the design of the conjugated gear multiplying any slackness in the pins and joints, and partly due to a whip action in the motion levers at speed. The problem was avoided by limiting the maximum cut-off to 65 per cent. The K3 became a Group Standard design quickly after Grouping in 1923, and in total 193 locomotives would be built in seven batches between 1920 and 1937. Construction only stopped after the new V2s had proven themselves as good replacements. Each batch would show minor refinements, so between 1923 and 1935 each batch was classified chronologically by its part number, e.g.. the 1920/1 batch was K3/1, and the 1934/5 batch was K3/6. Due to the differences being deemed minor in nature, classes K3/4, K3/5, and K3/6 were merged in with K3/2 in 1935. The original ten K3/1s were built to the larger GNR loading gauge, but were reclassified as K3/2 when they were cut down to the Composite LNER loading gauge. The last K3/1 was cut down and reclassified in 1940. Usage of the K3/2 and K3/3 class parts was discontinued with Nationalisation in 1948. One of the biggest changes was the introduction of long lap valves in 1928. These valves had already resulted in improvements in coal economy on the A1 Pacifics. No. 134 was fitted in October 1928 as a trial and quickly showed a considerable improvement in coal consumption. All future K3s would be built with long lap valves, and the existing K3s were converted by 1936. Detailed trials performed in August 1930 between No. 109 (long lap valves) and No. 111 (original valves), showed an average saving in coal of 7.5lb/mile. Starting, running, and pulling were also observed to be better. The second batch (K3/2) had a reputation for poor steaming. This was eventually solved in 1929 by fitting a blastpipe which was 4in shorter. The improvement was so significant that the blastpipe orifice was opened out to 5.5in. Coal consumption also improved, and orders were placed to convert the entire batch. 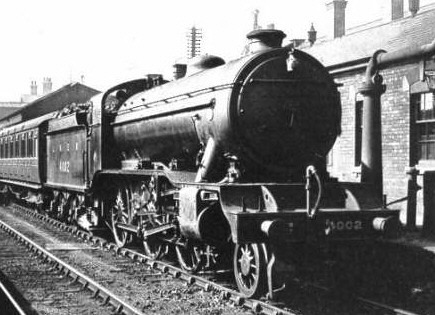 In 1939 a North Eastern (NER) style cowl was fitted to the blastpipe / chimney arrangement. This was a parabolic cone resembling many modern power station cooling towers, significantly different to the GNR-style liner and cowl used on the early K3s. These were not interchangeable and the entire chimney, liner and cowl had to be replaced although this was barely visible from the outside. Throughout their lives, the K3s had a reputation for very rough riding. There were many reports of cab bolts being shaken loose, and both engine and tender dragbox damage was not unusual. In July 1931, plans were drawn up for a K3 utilising a water tube boiler similar to that fitted to the W1 No. 10000 'Hush-Hush' but smaller. A conventional K3 three cylinder arrangement would have been used, although the cylinders would have been lined to 14.25in to compensate for a boiler pressure of 300psi. Due to unsatisfactory results from the W1, this scheme was dropped. In June 1945, Thompson rebuilt K3 No. 206 with two cylinders of the B1 type. The boiler pressure had to be increased in order to produce a tractive effort comparable to the K3s. Rather than using a smaller Diagram 100A boiler, a high pressure version of the K3 boiler was designed and given the designation of "Diagram 96A". As well as new cylinders and boiler, new frames and wheels were also fitted resulting in very little of the original locomotive being used in the rebuild. Gresley's swing link mechanism for the pony truck was replaced by a helical side control spring design copied from the Stanier O6 2-8-0s. The final rebuilt locomotive was classified as K5, and showed a total weight saving at the expensive of a reduction in tractive effort and increases in adhesive weight and maximum axle load. The K5 also had the advantage that it could operate at 75 per cent cut-off rather than the K3s which were still limited to 65 per cent. In 1946, trials were performed comparing the K5 against two K3s. The K5 showed improved coal and water efficiency. The Running Department also described it as having improved riding, and easier to maintain due to the lack of a poorly accessible central cylinder. The time required for rebuilds was considered to be long and an order for ten further rebuilds was cancelled in 1949. No. 206 (later No. 61863) would remain the only K5 until its withdrawal in 1960. Although no more K5 rebuilds occurred, large numbers of K5 boilers were built between 1945 and 1959 and used as replacements on K3s. All of these boilers were operated at the K3 pressure of 180psi. The K3s and K5 were used throughout the LNER network. The first batch of ten were allocated to King's Cross, Peterborough (New England) and Doncaster; and would remain there until the 1930s when transfers to the GC (Great Central) and GE (Great Eastern) areas occurred. At Grouping, the GN section was well equipped with mixed traffic 2-6-0s (classes K1, K2 and K3). Of the next sixty K3s to be built, thirty four were allocated to the GN Section, displacing K1s and K2s to other areas of the LNER network. The general effect was to allow slightly larger braked goods trains to run at slightly faster speeds. The K3s operated the express goods trains, whilst the K2s operated the slower services. In 1932, K3s were used to operate two fast weekday coal trains from Peterborough to Ferme Park Yard (Hornsey) The slow coal trains along this line were causing serious line occupancy problems, and the new services were an attempt to ease the situation. Loads were limited to fifty-six 10 ton wagons. At the same time, Doncaster K3s also operated a similar coal service from Doncaster to Peterborough. During World War 2, the K3s were given a wide variety of duties. When fast goods services were resumed, they tended to be handled by the newer V2s, and the K3s hauled more of the slower goods trains. The lone K5 was initially allocated to New England shed (35A) at Peterborough. In 1954 it was transferred to Stratford, before being withdrawn in 1960. The first K3 to be withdrawn was No. 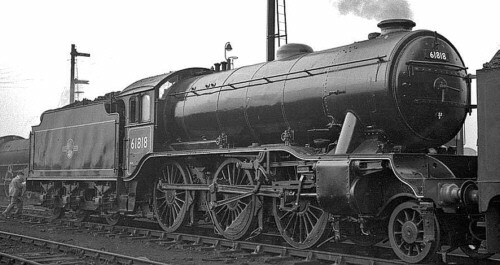 61898 in 1959 due to the poor condition of its middle cylinder. New boilers continued to be fitted to the other K3s but it was not long before withdrawals started in earnest. Of note, Woodford's allocation of K3s peaked at eleven in 1960, after withdrawals had started. The last K3s were withdrawn from regular service in December 1962. Three were kept as stationary boilers, with the last two being finally withdrawn in 1965. K3 tender details are for the 4200 gallon Group Standard tender. Heating Surface: Total: 2308 sq.ft. 2308 sq.ft. Firebox: 182 sq.ft. 182 sq.ft. Grate Area: 28 sq.ft. 28 sq.ft. Neither the K3s nor the K5 survived into preservation. Bachmann are reported to be releasing a OO gauge K3 in the near future. The LNER version will be of No. 3934 with a Group Standard tender. SE Finecast produce a whitemetal kit of the K3 for OO gauge (4mm scale) that produces most variations except the GNR tender. Proscale also produce a 4mm scale kit of the K3/2 variant. Ace Products sell a kit of the K3 for 7mm scale (O gauge). Thank you to the P.H. Groom collection for permission to use the above photographs of Class K3/3 BR No. 61886 at March, and Class K5 No. 61863 at Stratford. Thank to Malcolm Peirson for the photographs of K3/1 No. 4002, K3/2 No. 61818, and K3/5 No. 1108.